Now, armed with a smartphone or tablet, today’s workers expect to have just one device to access e-mail, contacts, calendars and social media, as well as their work applications. An Ovum Group BYOD study reveals nearly 70% of smartphone-owning professionals now use their personal devices to access corporate data, but suggests that 80% of these devices are not adequately managed by their IT departments. Instinctively, IT managers may baulk at the idea of employees connecting their own mobility devices to the network, and for good reason. Information security and data confi dentiality are at the top of the list. Managing backup and availability of data also hit some hot buttons, as do the limited availability of IT support teams to support users effectively when something goes wrong with the device. One of the first things to do as part of a mobile strategy is to sort out the mobile device management layer. It’s not just about managing the employees’ personal devices for business use. There are also the apps, the data, mobile platforms and operating systems – in addition to ensuring security and compliance with company and regulatory requirements, including a combination of business, legal, HR and IT infrastructure procedures and processes. What’s needed is a mobility strategy to manage security, governance, support, policies and procedures to help manage this new paradigm. Businesses also need to invest in network infrastructure, fortify themselves against security breaches, and most importantly, establish clear guidelines through their enterprise mobility policies. Mobility and the consumerisation of IT are clearly disruptive trends. By shifting management and policy focus to the users rather than devices, and extending the current enterprise data management model rather than replacing it, enterprise IT managers can work with their employees to develop a seamless, convenient user experience in a way that doesn’t compromise IT efficiency, security or governance. 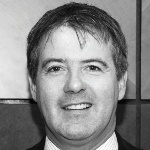 About the author: Niall Moynihan is country manager South Africa at AppSense.